“Oh! So now it’s my fault, why won’t you just take responsibility for once, must you blame me for everything? Have you ever heard these lines before, or maybe you and your spouse have even played (or is playing) it out? Most times spouses blame each other for everything in their marriage; it is the easiest thing to do. Naturally we want to escape blame for anything, we tend to see the other person as wrong while we are right, and this is so in-congruent with the quest for peace in our homes. 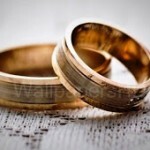 This blame game is a great fuel for strife and disharmony in any marriage. Both couple cannot be right at all times, and it is not foolishness to accept your fault no matter what it is. Instead of looking in so deep to dig out how wrong the other person is, take the blame, ask for forgiveness and move on. The blame game can kill a marriage even while the couple is still living together. 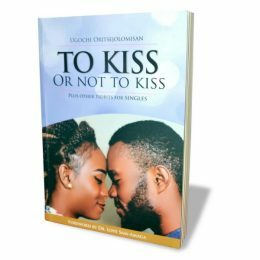 It can drain joy, laughter and vigour from the couple and lead to situations they most likely never imagined… the consequences can be very dire. The first ever couple made this same mistake and we ought to have learnt from them; it is better to learn from other people’s mistakes than to fall into the same errors when we have the choice to escape them. When God asked Adam if he had eaten the forbidden fruit, instead of saying a simple yes and asking for forgiveness, he started the blame game. And then Eve followed his cue, maybe if Adam had thrown himself on his face and asked for mercy Eve would have too, just saying…I am not making any excuse for her, she is solely responsible for her actions. But you can imagine if they had accepted their faults, gone on their faces and pled for mercy, certainly God would not have turned them down. The same thing applies in our marriages today, if every husband and every wife accepts it when they make their mistakes, after all we all make mistakes; and apologize without trying to find the other person’s fault or make excuses for faults, our marriages would experience a lot more joy and peace. Pride is the reason we refuse to accept our faults, and pride has never done any one any good; it is a destroyer and a great one at that. If you find yourself always apologizing to your spouse, it is most likely that you are going to want to refuse to someday; you would want to say “no more!” I cannot be apologizing all the time even when it is not my fault only, or not even at all. But remember that Jesus went to the cross for no fault of His, He had no part at all for our sins yet He went all the way to the cross to die that gruesome death, so we can have peace with the Father. So like Jesus whom we claim to follow, we shouldn’t get tired or too proud to apologize to our spouses when we are wrong or even when we think we are not. We should apologize for peace sake, husband and wife. …Why do ye not rather take wrong? why do ye not rather suffer yourselves to be defrauded? Peace is very essential if we must enjoy our marriages and blaming one another does not make for peace at all. 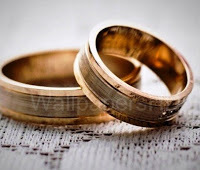 If each couple will decide not to look for each other’s fault in everything but rather to seek peace and accept their own part in the mess, it would really take out a lot of strain from our marriages and give us joy! Or what do you say? Accepting one another’s faults as a couple is so very igmportant. Accepting that each of you will grow and change and the years go on is so very important. I am learning (as I go, like everyone else) that peace is something you have to work at constantly within a marriage. Yes Brooke, constant work is a definite requirement. Thanks for coming by and leaving this note. It was my pleasure linking up. Sorry for this late response, have a super blessed weekend!